Moss Beach bed and breakfast travel guide for romantic, historic and adventure b&b's. 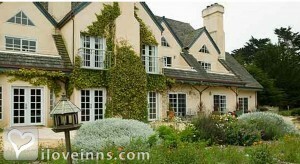 Browse through the iLoveInns.com database of Moss Beach, California bed and breakfasts and country inns to find detailed listings that include room rates, special deals and area activities. You can click on the 'check rates and availability' button to contact the innkeeper. Moss Beach is a community located in the coastal area of San Mateo County in the state of California. Although its population is not very large, the residents of Moss Beach have been known to provide very warm reception to tourists coming here. The Moss Beach bed and breakfast inns themselves are manned by innkeepers who take care of their guests very well. Most of the scenic spots that can amaze the tourists are located on the Moss Beach shoreline. A number of the Moss Beach bed and breakfast inns are found near the beaches, providing guests with a great view all day long. Tourists who like to take pictures of sea lions and seals in their most natural surroundings can visit the Fitzgerald Marine Reserve which is on the Moss Beach shoreline. Dining is another great experience here with restaurants like Moss Beach Distillery Restaurant, Three-Zero Ventures, and Caf� Gibraltar. By Seal Cove Inn.